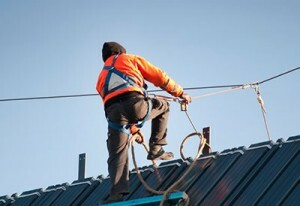 When implementing a 100% fall protection safety program for your site, no amount of planning, training and documentation will make up for deficiencies in fall protection equipment (body belts and body harnesses) due to regular wear improper storage or misuse. Our body belt and harness inspection services are designed to keep you safe, and save your company money and time. CAL/OSHA states that employers must verify that each employee has been trained in inspecting fall protection equipment prior to each use for wear, damage, deterioration and defective components and any defective fall protection equipment shall be removed from service. Employers must also communicate the required procedures for equipment handling and storage. CAL/OSHA requires that each personal fall arrest system shall be inspected not less than twice annually by a competent person in accordance with the manufacturer’s recommendations. The date of each inspection shall be documented. Serving the San Bernardino, Riverside, Inland Empire areas. Workforce Safety Training body belts and body harnesses inspection service helps you to comply with CAL/OSHA standards. 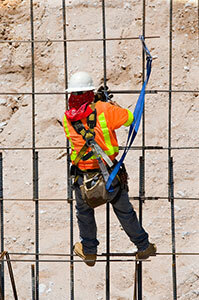 WorkForce Safety- stay safe with our body belts and body harness inspection services. In addition to completing physical inspections of each (body belts and body harnesses) component we provide a detailed report in a format conducive to effective inventory control of all equipment. (Employer must provide to Workforce Safety Training at the time of inspection the manufactures hand book/inspection specification on each body belts and or body harnesses to be inspected.) Workforce Safety Training must have in hand at the time of inspection a letter from the employer designating Workforce Safety Training as the company’s competent person for the purpose of body belts and body harnesses inspection.